Slue Foot Sue is a cowgirl from Melody Time's Pecos Bill. 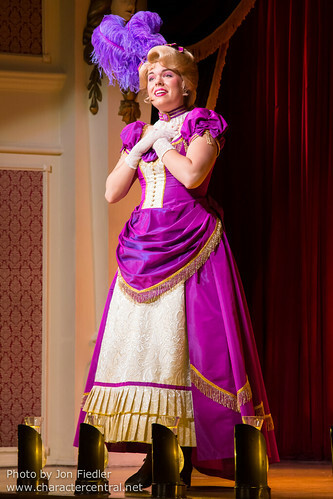 She can now be found entertaining guests daily at her very own Diamond Horseshoe, right in the heart of Westernland at Tokyo Disneyland. Slue Foot Sue only appears in the Diamond Horseshoe shows in Tokyo Disneyland, and does not greet fans, sadly.